Late-1990s developments in the study of thermophiles have had considerable significance on theories of evolution. These micro-organisms are able to thrive at temperatures near or even above 100 degrees Celsius, and scientists have begun to study their biology in an attempt to provide clues about the beginnings of life on our planet. 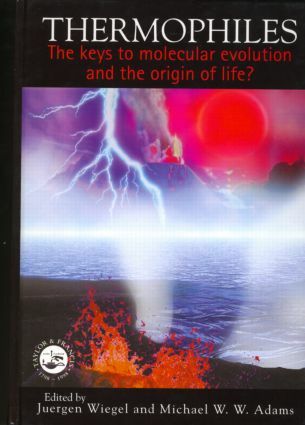 Researchers from diverse background such as biology, genetics, biogeochemistry, oceanography, systematics and evolution come together in this comprehensive volume to address questions such as: Why did life originate? Was the Earth at high temperatures when life began, and if so, how high? What can we conclude about the origins of life from studying thermophilic organisms? Part 1 The Early Earth; 1. Do the Geological and Geochemical Records of the Early Earth Support the Prediction From Global Phylogenetic Models of Thermophilic Cenancestor? John A. Baross 2. The Early Diversification of Life and the Origin of the Three Domains: A Proposal Otto Kandler 3. Life was Thermophilic for the First Two-thirds of Earth History David W. Schwartzman Part 2 The Origin of Life; 4. The Case for a Hyperthermophilic, Chemolithoautotrophic Origin of Life in an Iron-Sulphur World Günter Wächterhäuser 5. The Emergence of Metabolism From Within Hydrothermal Systems Everett L. Shock, Tom McCollom and Mitchell D. Schulte 6. The Emergence of Life From FeS Bubbles at Alkaline Hot Springs in an Acid Ocean Michael J. Russell, Dan E. Daia and Allan J. Hall 7. Facing up to Chemical Realities: Life Did Not Begin at the Growth Temperatures of Hyperthermophiles Stanley L. Miller and Antonio Lazcano Part 3 Nucleic Acid-based Phylogenies; 8. Were our Ancestors Actually Hyperthermophiles? Viewpoint of a Devil's Advocate Patrick Forterre 9. Hyperthermophilic and Mesophilic Origins of the Eukaryotic Genome James A. Lake, Ravi Jain, Jonathan Moore and Maria C. Rivera Part 4 Gene Exchange and Evolution; 10. Deciphering the Molecular Record for the Early Evolution of Life: Gene Duplication and Horizontal Gene Transfer Lorraine Olendzenski and J. Peter Gogarten 11. Lateral Gene Exchange, an Evolutionary Mechanism for Extending the Upper or Lower Temperature Limits for Growth of Microorganisms? A Hypothesis Juergen Wiegel 12. Evidence in Anaerobic Fungi of Transfer of Genes Between Them from Aerobic Fungi, Bacteria and Animal Hosts Lars G. Ljungdahl, Xin-Liang Li and Huizhong Chen Part 5 Enzyme-based Phylogenies; 13. DNA Topoisomerases, Temperature Adaptation, and Early Diversification of Life Purificación López-García 14. Aminoacyl-tRNA Syntetases: Evolution of a Troubled Family James R. Brown 15. The Evolutionary History of Carbamoyltransferases: Insights on the Early Evolution of the Last Universal Common Ancestor Part 6 Enzyme Evolution; 16. Evolution of the Histone Fold Kathleen Sandman, Wenlian Zhu, Michael F. Summers and John N. Reeve 17. Comparative Enzymology as an Aid to Understanding Evolution Michael J. Danson, Rupert J.M. Russell, David W. Hough and Garry L. Taylor 18. Pyrophosphate-dependent Phosphofructokinases in Thermophilic and Nonthermophilic Microorganisms Hugh W. Morgan and Ron S. Ronimus Part 7 Membrane Evolution; 19. sn-Glycerol-1-phosphate Dehydrogenase: A Key Enzyme in the Biosynthesis of Ether Phospholipids in Archaea Masateru Nishihara, Takayuki Kyuragi, Nobuhito Sone and Yosuke Koga 20. From the Common Ancestor of all Living Organisms to Protoeukaryotic Cell Akihiko Yamagishi, Takahide Kon, Gen Takahashi and Tairo Oshima Part 8. Life at High Temperature 21. Primitive Coenzymes and Metabolites in Archaeal/Thermophilic Metabolic Pathways R.M. Daniel 22. 3-Phosphoglycerate Kinase and Triose-phosphate Isomerase from Hyperthermophilic Archaea: Features of Biochemical Thermoadaptation Reinhard Hensel, Alexander Schramm, Daniel Hess and Rupert J.M. Russell 23. The Evolutionary Significance of the Metabolism of Tungsten by Microorganisms Growing at 100°C Michael W.W. Adams. Boyen, University of Brussels, Belgium, James Brown, SmithKline Beecham Pharmaceuticals, USA, Huizhong Chen, University of Georgia, USA, Dan Daia, University of Glasgow, UK, R. Daniel, University of Waikato, New Zealand, Michael Danson, University of Bath, UK, Patrick Forterre, University of Paris-Sud, France, Peter Gogarten, University of Connecticut, USA, Allan Hall, University of Glasgow, UK, Reinhard Hensel, University of Glasgow, UK, Daniel Hess, University of Munich, UK, David Hough, University of Bath, UK, Ravi Jain, University of California, USA, Otto Kandler, University of Munich, UK, Yosuke Koga, University of Occupational and Environmental Health, Japan, Takahide Kon, Tokyo University of Pharmacy and Life Science, Japan, Takayuki Kyuragi, Kyushu Institute of Technology, Japan, Bernard Labedan, University of Paris-Sud, France, James Lake, University of California, USA, Antonio Lazcano, UNAM, Mexico, Xin-Liang Li, University of Georgia, USA, Lars Ljungdahl, University of Georgia, USA, Purificacion Lopez-Garcia, University of Paris-Sud, France, Tom McCollom, Woods Hole Oceanographic Institute, USA, Stanley Miller, University of California, USA, Jonathan Moore, University of California, USA, Hugh Morgan, University of Waikato, New Zealand, Masateru Nishihara, University of Occupational and Environmental Health, Japan, Lorraine Olendzenski, University of Connecticut, USA, Tairo Oshima, Tokyo University of Pharmacy and Life Science, Japan, John Reeve, Ohio State University, USA, Maria Rivera, University of California, USA, Ron Ronimus, University of Waikato, New Zealand, Michael Russell, University of Glasgow, UK, Rupert Russell, University of Bath, UK, Kathleen Sandman, Ohio State University, USA, Alexander Schramm, University of Essen, Germany, Mitchell Schulte, NASA Ames Research Centre, USA, Everett Shock, GEOPIG, USA, David Schwartzman, Howard University, USA, Noguhito Sone, Kyushu Institute of Technology, Japan, Gen Takahashi, Hirosaki University, Japan, Michael Summers, University of Maryland, USA, Garry Taylor, University of Bath, UK, Gunter Wachtershauser, Germany, Juergen Weigel, University of Georgia, USA, Akihiko Yamagishi, Tokyo University of Pharmacy and Life Science, Japan, Wenlian Zhu, University of Maryland, USA.